Here’s a sneak preview of Acid Arab’s new LP released next month. The duo have been wowing festivals all summer with their heady mix of Western electronic music and Eastern sounds and vocals. Formed in 2012 by Parisian DJs Guido Minisky and Hervé Carvalho, Acid Arab have become a fully-fledged musical entity by teaming up with Pierrot Casanova, Nicolas Borne and – for studio and live activities – with Algerian keyboard player Kenzi Bourras. 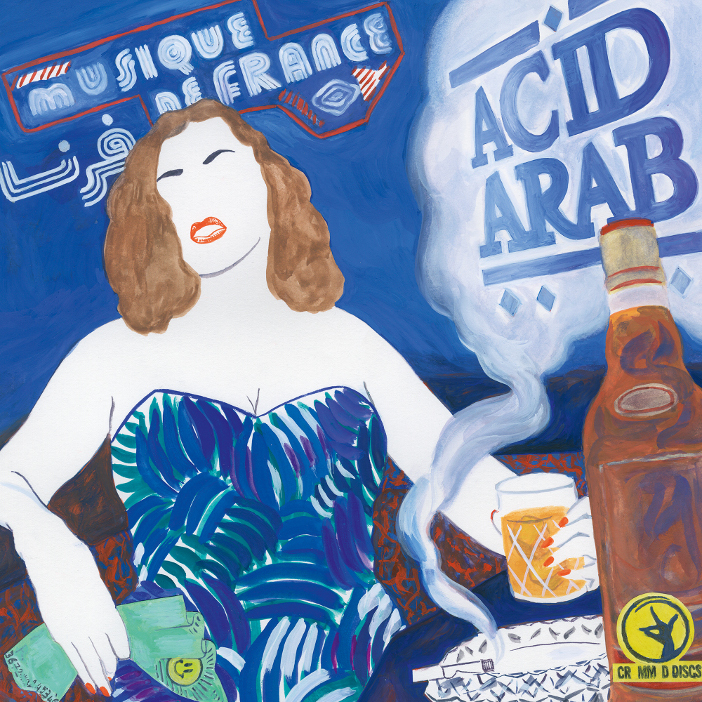 For Musique de France, Acid Arab have worked with a number of guests, including Syrian musician Rizan Said, whose sound is well known via his work with Omar Souleyman. There’s vocals and saz playing by Istanbul’s Cem Yildiz (who wrote the famous song Kime ne for his band Insanlar), and vocals by Yemenite sister trio A-WA (who released Habibi Galbi, remixed by Acid Arab). There are also collaborations with Paris-based luminaries of Franco-Arabic music, such as rocker Rachid Taha, raï fusion pioneer Sofiane Saidi, as well as gnawa musician/singer Jawad El Garrouge. Acid Arab’s Musique de France is out in CD, LP and digital formats on Crammed Discs on October 7th.